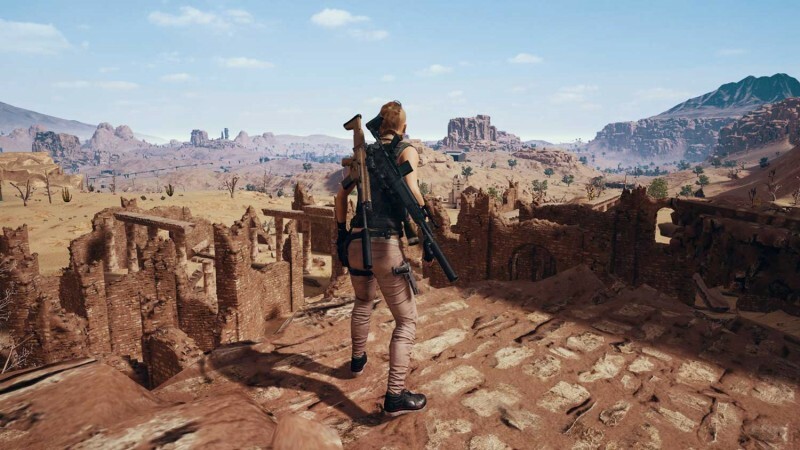 Back in August PUBG began its "Fix PUBG," campaign, focused on improving the overall quality of game's matchmaking, server performance, anti-cheat detection and player bans, and more. As of yesterday, the campaign is over. In a post on PUBG's steam community page, executive producer Taeseok Jang outlined the results of the campaign. On the client performance front, the team saw fairly large improvements. "The average time to load 1 level has dropped significantly from 14.4 seconds to 5.6 seconds," Jang says. "Environmental effects, vehicle destruction effects, hit effects and smoke effects have been improved and we are planning to add improvements on weapon related logic and effects as well." However, attempting to fix character movement spawned other issues, including the sound of footsteps being desynced from the actual movements of players, causing the team to revert the change. "We are preparing general optimization work and once it has gone through proper stability testing, we will apply it once again," Jang says. However, desync is still occurring, though less frequently after a November 7 patch, and the team will continue focusing on keeping the game at a synced 30-fps tick rate (the number of times per second the game updates to the server, not the framerate). Meanwhile, matchmaking has seen some improvements, though the team is looking into ways to display more info on matchmaking, and let players in the most difficult-to-match areas set preferences that will make it easier to match into a game. And on the game's cheating issues: with over two million cheating accounts banned, the team is still exploring solutions for some of the more prolific cheaters. "While breakthroughs and improvements aren’t ever fast enough to eradicate all cheating, our mission remains the same; to never back off in the fight against unauthorized programs," Jang says. "In some regions, we have been able to work with local law enforcement to arrest the groups involved in the production and sale of unauthorized programs and we will continue to aid authorities in any way we can." The team plans to delve more into this specific topic in a separate letter. Overall, although Jang points out areas where the game has improved, he remains aware that there's still a ways to go. "We acknowledge that in this process, we have overlooked issues that matter to you and we have reflected a lot on our mistakes," he says. "Therefore, when designing the 2019 PUBG roadmap, we’ve changed our direction from this last year. Build stability and quality are now our most important value, and upon that base we will build new Battle Royale gameplay and new content." Jan mentions this process will be slow at first, but updates will become more frequent as the team reaches a new equilibrium where they're able to deliver both new content and stability improvements. As for how this affects the improvements of the Xbox and upcoming PlayStation versions, Jang provides a somewhat vague statement. "The direction of Xbox and PlayStation development will parallel with PC, continuing to focus on providing our console players a more refined game service to give the best experience." While the campaign seems to have seen some improvements to the game, this definitely feels more like a fizzling out than a real triumph. The game still has a long way to go, but hopefully, the fanbase will see the stability and new content they've been craving soon.